It's All About the Fleece! Blue possesses exemplary genetics, fiber characteristics & phenotype...even more importantly, he consistently duplicates himself in his offspring...no matter the quality of the dam. 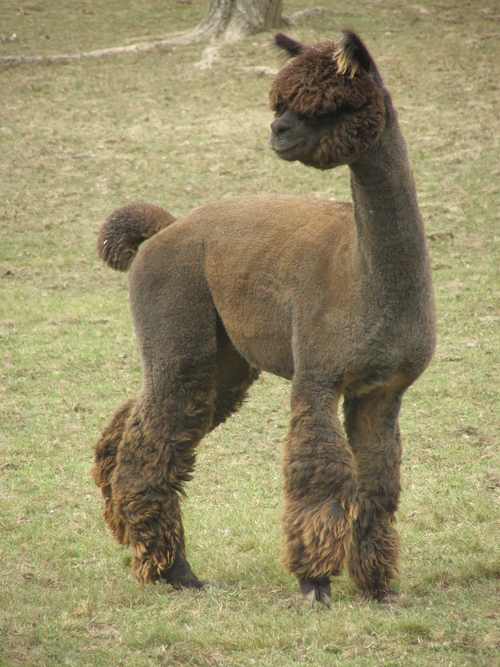 Blue had the honor of being a coveted herdsire in the highly selective Snowmass Alpacas elite grey breeding program for many good reasons. His color, magnificent head and perfectly balanced frame are what first stop people in their tracks. But it's his fiber that is truly astonishing. To say he is dense is an understatement...his topknot is even dense. He is a stunning, solid dark rose grey & despite his age (10+ yrs), his fiber is maintaining excellent handle & well defined crimp structure. He has produced colors from Beige to True Black and all colors in between. 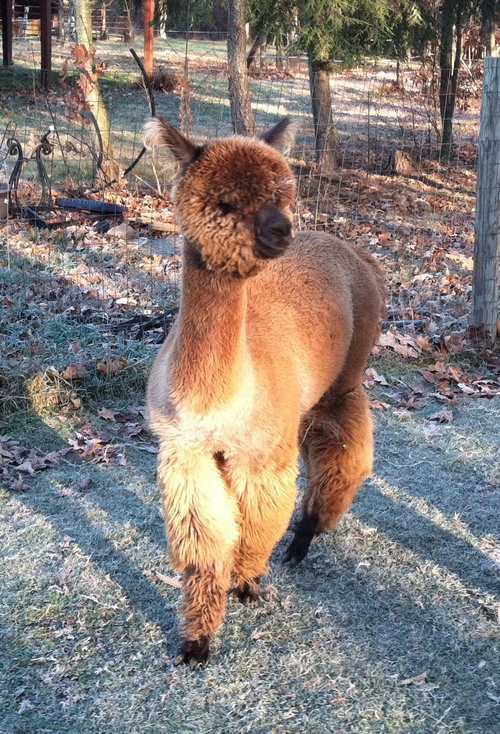 Smokey shows excellent phenotype with a very stylish head and full fleece coverage. His Merino style fleece exhibits strong structure, brightness and density. His genetics are phenomenal on both sides. His dad, Snowmass Artic Blue, is the cornerstone of the Snowmass Artic Trilogy with Snowmass Accoyocusani and PPPeruvian Augusto bringing superb color, density and fleece to the table. His dam, BGF Legacy’s White Gold Nugget, adds 4Peruvian Legacy, Caligula and Hemingway to the mix. 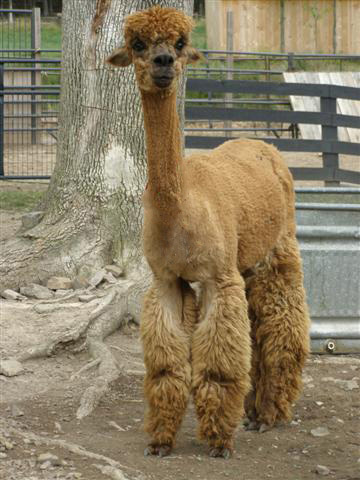 This powerhouse of genetics has a gentle temperament and is a farm favorite. 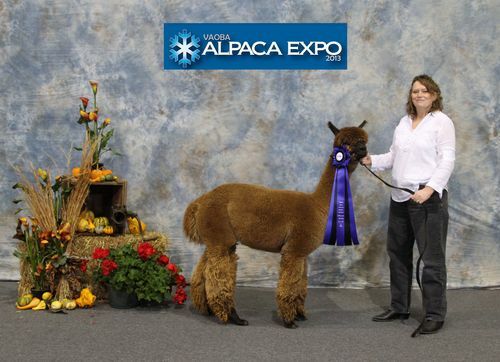 In his first show, Smokey took a 3rd place at the 2012 Carolina Alpaca Celebration. At 11 months old, he took a 4th place in a very competitive rose grey juvenile class of 9 at the Level V 2012 MAPACA Jubilee. 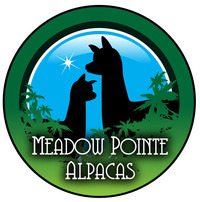 At the 2012 Royal Alpaca Challenge Smokey placed 5th in a mixed yearling grey class. The next month at VAOBA he placed 3rd in a very competitive rose grey yearling class. In 2013 Smokey placed 3rd in both the Carolina Alpaca Celebration and Southern Select shows and and then received a 1st place in the highly competitive MAPACA fleece show, followed by a Color Championship at the 2013 Tennessee Waltz Fleece Show!! The spring of 2014 brought Smokey two offspring - a medium brown boy and a medium silver grey girl. I couldn't be happier. 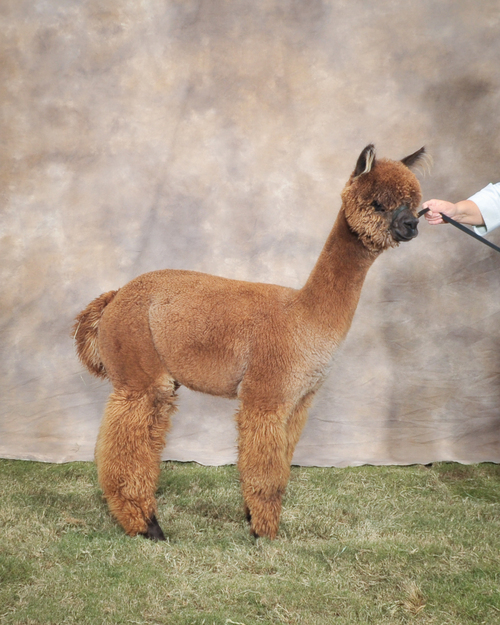 They both have density, crimp, fineness, and consistency and took blue and red ribbons as juveniles at the 2015 Royal Alpaca Challenge. Needless to say, I repeated both breedings this spring. 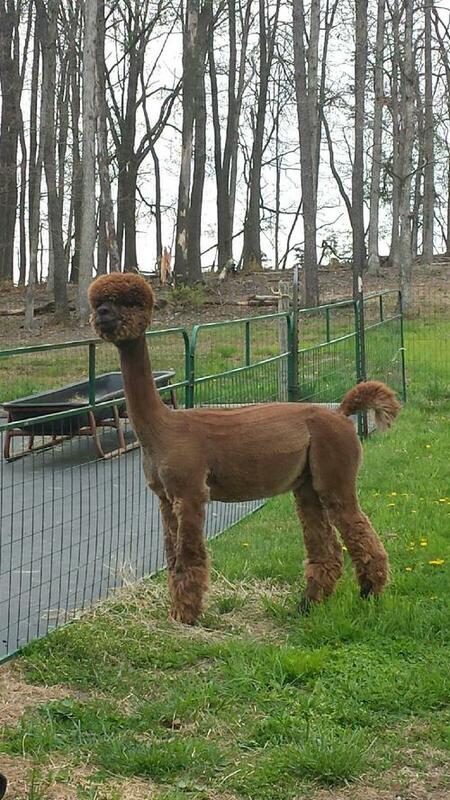 Join Smokey’s party list - book your breeding with this awesome herdsire today! You will be pleased! Flexible financing is available. Call for details. Discounts for multiple breedings. Mastercard and Visa are accepted. Grey Fineness in a Brown Body!